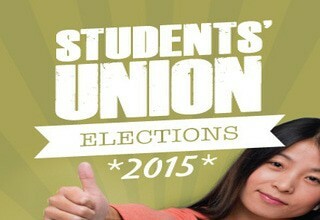 SU Elections achieve highest ever turnout! The University of Sunderland Students' Union Elections 2015 have acheived their highest ever turnout! Congratulations to all the candidates who campaigned hard over the 3 days of voting. "I am delighted to see such an increase in voter turnout this year - it shows that students really do care about who represents them and leads their Students' Union. The candidates have done a fantastic job and really hit the campaign trail hard, talking to thousands of students about issues that matter to them and asking for their votes. I think we've set the bar now and Elections will hopefully continue to grow here at Sunderland, getting more and more students involved to have their voice heard at the highest level." If you want to be the first to find out the winners, join us for a special Results Night party at Bonded Warehouse at 6.30pm on Friday 27th February. All students are welcome!